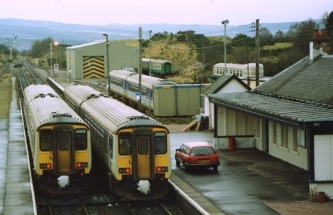 Two Class 156 trains at Muir of Ord in 1990. 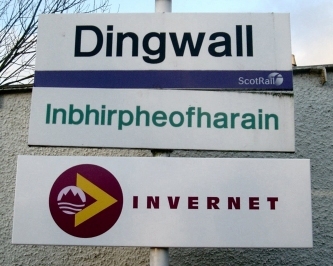 Muir of Ord was the ternminus station following the collapse of the Ness Bridge. 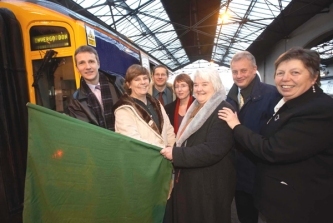 Class 156 trains were modified to allow more cycle space in the mid 1990s. 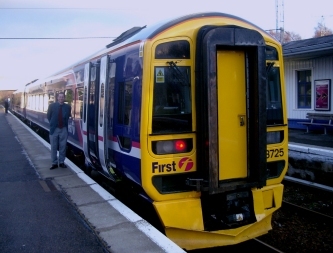 FoFNL would like to see similar modifications to Class 158 rolling stock in the Highlands to allow for more cycle and luggage space. The 'Father' of Invernet, Frank Roach, proudly shows off his 'baby'!